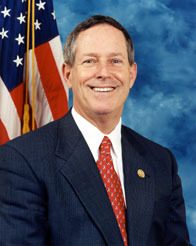 In 2003, Congressman Joe Wilson voted to provide $1.25M in federal funds to pay for health care for illegal aliens in the United States. These funds were allocated in Section 1011 of the "Medicare Prescription Drug, Improvement and Modernization Act", which received overwhelming Republican approval (and overwhelming disapproval by Democrats). It was signed by President George W. Bush on 8 December 2003, and the funds were dispensed over five years. During the 9 September 2009 health care address by Barack Obama to Joint Session of Congress, Joe Wilson screamed "You lie! ", after Obama had debunked the claim that illegal aliens would be covered by Obama's health care legislation -- such coverage was not offered by either the House or Senate health care bills then pending, nor was it included in the final legislation that eventually passed. After criticism by John McCain and others, Wilson apologized for his astonishing lack of decorum: "My comments were inappropriate and regrettable. I extend sincere apologies to the President for this lack of civility."